Competitors have found it difficult to keep up with Billy Harper. Whether growing his construction business or driving race cars on the hot rod circuit, Mr. Harper has moved quickly, decisively – and successfully. Brought up on a farm in Western Kentucky and for many years a resident of Paducah, Mr. Harper graduated from the University of Kentucky with a Bachelor of Science degree in mechanical engineering in 1966. His student experience included two valuable years in a co-op program with the Department of the Army at Lexington Bluegrass Depot. Upon graduation he joined Shell Oil in Midland, Texas, as a production engineer designing downhole oil production equipment. Two years later, he accepted a position as a commissioned officer with the United States Public Health Service and served two years on the construction management team at the National Institutes of Health. He rejoined Shell after completing his tour of duty, but in 1971, he returned home for good, joining his father in the construction business in Paducah . During the 1970s Harper Construction grew dynamically, expanding from two or three commercial projects at a time into highway and industrial work. The purchase of a mechanical contractor was an important part of the company’s growth. In 1980, Mr. Harper founded Harper Industries, Inc., a holding company. Subsidiaries initially included a general contractor, a mechanical contractor and a ready-mix concrete operation. Today, Mr. Harper still serves as president of Harper Industries, which now includes seven construction-related subsidiaries with offices in Kentucky, Tennessee and Texas, and has construction sites in more than twenty states. Billy Harper has always believed in giving back to the community. He has been an active participant in the Chamber of Commerce and economic development at local and state levels. His professional experience convinced him that an educated workforce was a vital economic development tool for any community, and he is one of Kentucky ’s leading advocates for education. 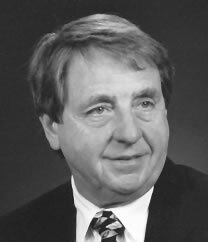 He was chairman of the Kentucky Chamber of Commerce in 1989-90 when the Kentucky Education Reform Act was passed. For most of that time, he traveled the state promoting education reform. Mr. Harper continues to actively promote education through his involvement in the Kentucky Chamber of Commerce, Partnership for School Reform and the Prichard Committee for Academic Excellence. Mr. Harper serves on the University of Kentucky Mechanical Engineering Advisory Council. He helped establish the Paducah campus engineering program, which offers studies in Western Kentucky leading to bachelor’s degrees from UK in mechanical engineering and chemical engineering. Harper Industries funds five full scholarships, four of which are for engineering students at the Paducah campus. Mr. Harper has also helped develop a four-year degree program in concrete construction management at Middle Tennessee State University . He has served on state and national boards for the Council of Economic Education and the Governor’s Scholars Program. He presently serves as a member of the McCracken School Board. And he has found a way to creatively combine two of his passions: education – and auto racing. Mr. Harper is a professional race car driver on the International Hot Rod Association and National Hot Rod Association circuits. He developed a “Race for Education” program designed to improve attendance among middle school children – and it has. Every participating middle school reports that the number of children in attendance per day has increased from 5% to 50%. He also uses his race car as a teaching tool during engineering and career days at the Paducah campus. He has received many awards and honors, but his most cherished is the distinguished Eagle Award presented to him by the Boy Scouts of America. Mr. Harper lives in Paducah with his wife, Mary. He has four children.